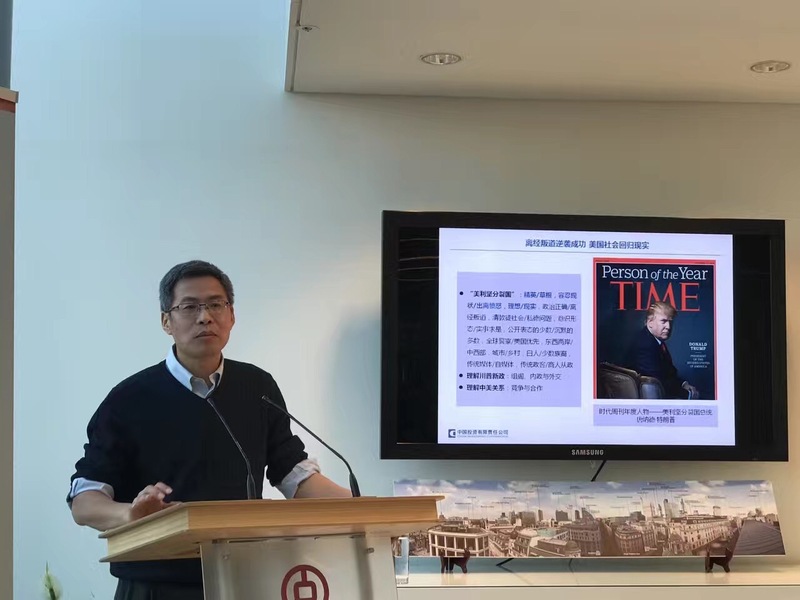 Fresh from Davos, Dr. QI Bin (Deputy General Manager of China Investment Corp, one of the biggest sovereign wealth fund in the world) shared his thoughts with CAFE members and friends on the root causes of the two black swan events (Brexit and Trump triumph) in 2016, the multi-speed global economy, China’s economic growth model and CIC’s strategy in overseas investment at the magnificent venue of Bank of China’s London office. A timely intellectual feast for CAFE members and friends ahead of the Chinese New Year of the Rooster. The original 2 hour speech lasted more than 3 hours as the whole audience was fully absorbed by Dr. Qi’s insights and humor. 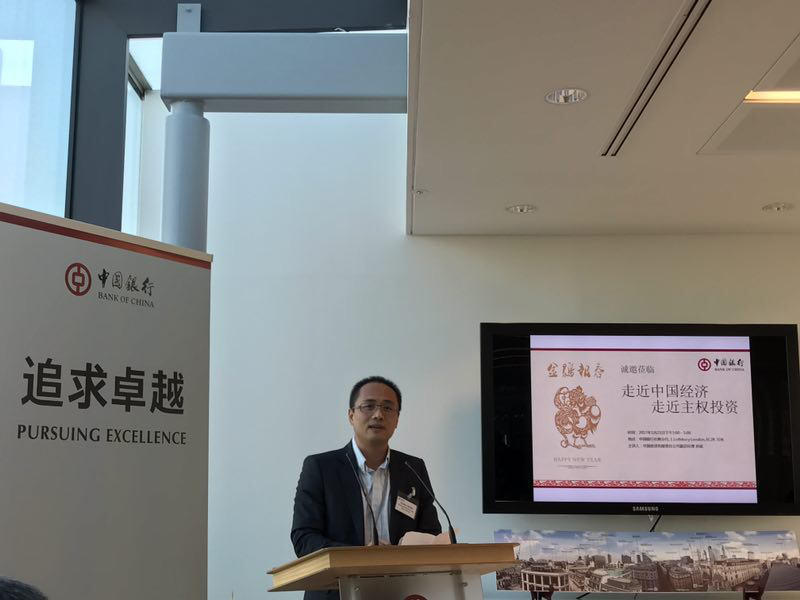 The purpose of Dr. Qi and CIC team’s visit to London this time is to attract talents for CIC’s think-tank (its research institute). CAFE has been committed to providing a platform for Financial professionals in the UK for quality dialogues and exchanges. 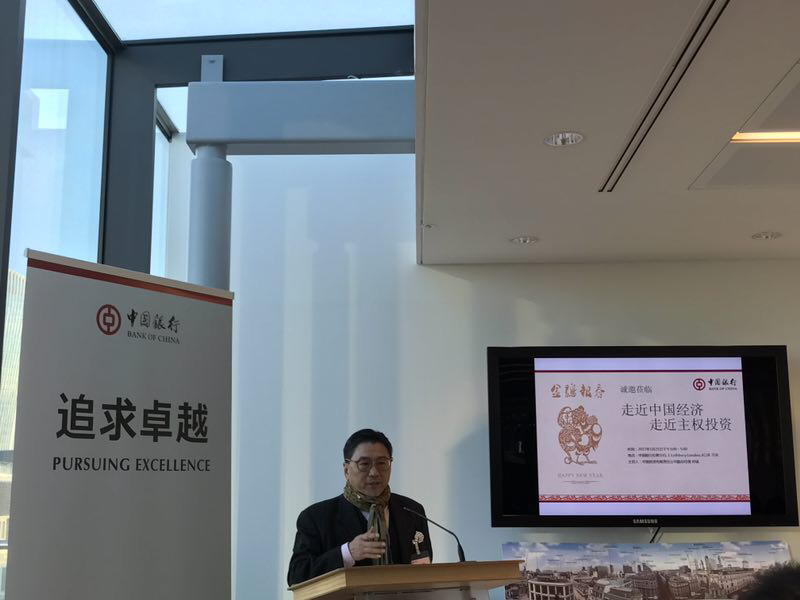 Frank Mao, Deputy President of CAFE addressed our members and friends and reiterated CAFE’s commitment. 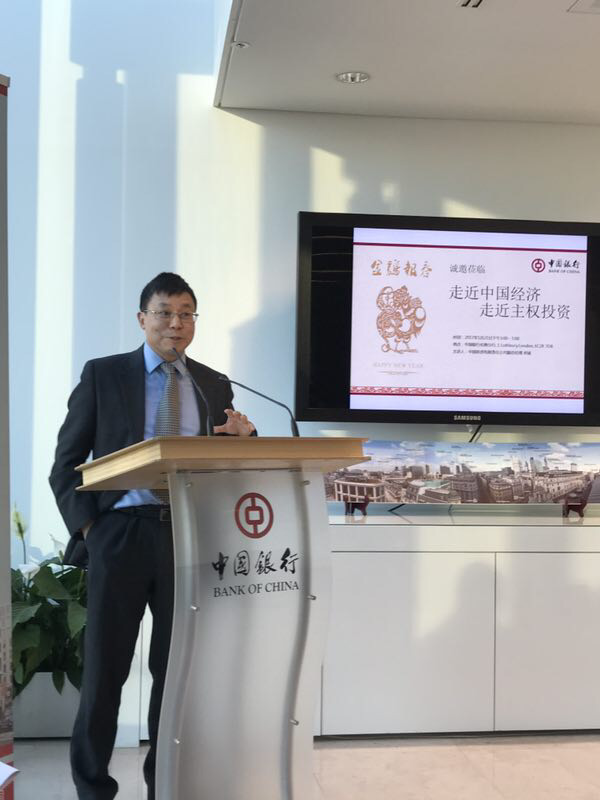 In addition, Bank of China London’s deputy branch manager Huabin Wang and Henry Cai, AGIC’s Chairman both made a short but lively speech(picture below per sequence).